I tell my math students about The Hayfamzone Blog and about selling comics on ebay and sometimes they investigate. 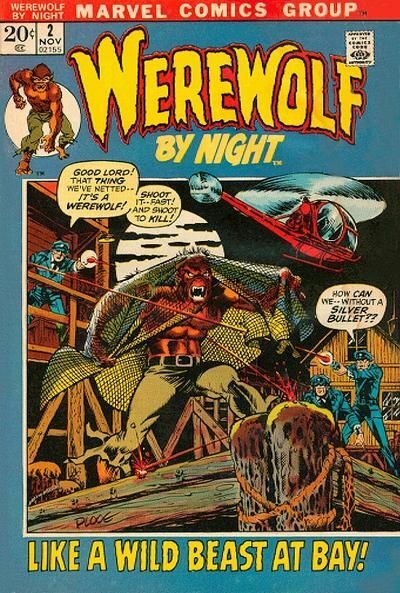 A few months back one of them bid on and won my auction for a 1972 issue of Werewolf by Night. The young gentleman and I completed our transaction at school one day, so the shipping charge was waived and also Paypal did not get to take its usual bite of the apple. Two evenings ago Parent-Teacher Conference Night was held at the school. When I was meeting with that student's parents I mentioned to them about how their son had purchased a comic book from me and they said with a chuckle that yes, they knew about it. I may not have heard the next part entirely correctly, but the father went on to tell me that whenever anyone comes to their house that visitor has to read the comic. I think that is so funny and so great!